This is a very unusual café set up in the middle of the mall, near the young Malaysian designer row. 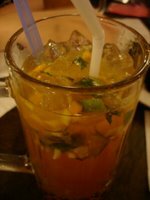 The food and desserts here are nothing to shout about, but it does serve a really interesting 57th Street ice tea punch (RM5 / US$1.30). 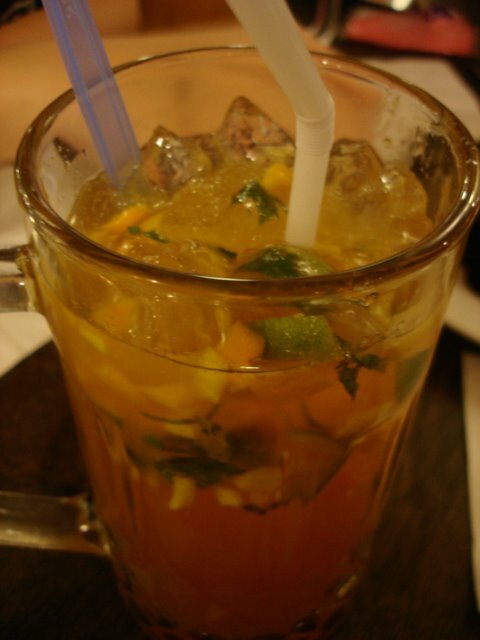 Its tea mixed with tiny chopped fruits, mint leaves and stuff - a nice refreshing break after long hours shopping in the mall. Plus the set up is nice. Great place to rest your feet.